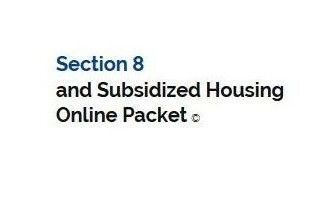 The Section 8 and Subsidized Housing Online Packet helps their members to learn about various low income housing programs and apply for section 8 by linking them to PHA applications when available. In order to receive a Section 8 voucher, the applicant must meet the definition of family that has been set forth by the local Public Housing Authority. The PHA must adhere to the guidelines established by HUD, but does have some flexibility in how it interprets this requirement. A Section 8 applicant must therefore check with their local PHA to determine if they meet the PHA’s family qualification. In order to complete a section 8 rental assistance application online or at the housing authority, one must first meet the income limits mandated by HUD. The income limits will differ based on the number of people in the family. Income limits are created for families containing anywhere from one individual to families containing eight individuals. Extremely low-income for a family of one may be $15,000 a year, but for a family of eight, an extremely low-income level may be $30,000 a year. HUD grants priority for Section 8 vouchers to those who would be classified as extremely low-income levels and then to those with very low-income. There are certain circumstances which would allow a family with a low-income status to be granted a Section 8 voucher. The PHA would usually make this determination, but reasons could include those who are classified as “continuously assisted” by public housing programs or those who are in HUD assisted home ownership programs. When determining the yearly income of a family and whether they are eligible to complete a Section 8 rental assistance application, many factors are taken into consideration. All sources of income are included when calculating a family’s income. Familiarize yourself with HUD’s programs. There is no one-size-fits all HUD housing. Rather, there are a variety of assistance programs (private market rentals, home-buying assistance) and types of housing (single-family homes, high-rise apartments), some of which may be better suited to you/your family and your particular situation. Among the numerous options are the following programs: Housing Choice Voucher Program: formerly known as Section 8 housing and finding a section 8 application online, this program is the largest program administered by HUD. 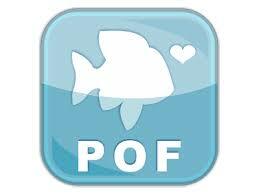 It provides vouchers for renting in the private market. Eligible applicants include low-income families and individuals, the elderly, and the disabled.HOME Investment Partnerships Program (HOME): HOME provides low-income households with funding to build, buy, or rehabilitate housing for renting or ownership. Housing Opportunities for Persons with AIDS (HOPWA): this program provides housing assistance to people with HIV/AIDS and their families. Additional support services are also provided. Multifamily Subsidized Housing Programs: this programs includes Section 202 Supportive Housing for the Elderly and the Congregate Housing Services Program (CHSP). These programs may be especially beneficial to elderly persons, as they provide some additional services such as housekeeping and transportation. The CHSP is a very limited program, and Section 202. HUDVET: this program strives to reduce homelessness among veterans and their families. Additional services are provided. Self-help Homeownership Opportunity Program (SHOP): unlike some other HUD programs, SHOP is primarily granted to regional and national non-profit organizations, not individuals/families. It provides assistance in purchasing and renovating home sites.